Time for more gift ideas from the Cafe and Bookstore and today novels that I have read and reviewed this year, that I can highly recommend. 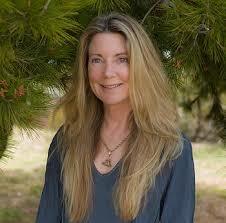 The first author is Claire Fullerton, and her latest release Mourning Dove. Mourning Dove is an epic mid-century recounting of a family, a lifestyle, a simpler but dignified time, providing a reminder that behind the gilded societal walls, hardships exist and life goes on. Claire Fullerton’s development of these dear to her heart characters, makes the reader consider them family members within the opening chapters. Set against the backdrop of a real life Gone With the Wind, Claire’s mother brings about images of Jackie O, Audrey, Bacall, complete with her own resident Warhol. But behind perfection, often hides dysfunction. Is it dysfunction, or is it what we all live through – our best efforts to make it through this often difficult life? In this sense, Millie and Finley take decidedly different paths of working through it all. A masterful use of description, often providing a bouquet of the very scent being described, the subtle facial tells one can relate to, and the constant feeling of “what if”. This book flows like a gathering avalanche, and never ceases to disappoint. I dreaded the end, as I felt something ominous on the horizon. A must read for those with a deep sentimental side – I’m left with a sense of longing, wistfulness, yearning. Or is it all out melancholy? Yes, that’s it…melancholy. My thanks to the author for having the strength to pen this novel and bare her soul. The next novel that I read earlier in the year is Welcome to Saint Angel by William Luvaas. About Welcome to Saint Angel. Iconoclastic inventor, Al Sharpe, loves his canyon home in Southern California’s Saint Angel Valley. He builds his teenage daughter a tree house in a giant oak and invents the Sharpe Smoke Scrubber to detoxify wood smoke. When wealthy developer Ches Noonan, a fellow member of the Desert Green Lawn Association, sets out to fill the valley with houses and appropriate its precious water supply to fill swimming pools during California’s worst drought, Al and his quixotic pals rebel. In the Realty Revenge, they halt development through madcap high jinks and the help of local Indians, ancient demon Tahquitz, and mother nature. Welcome to Saint Angel is a dead-serious comedy about development gone mad and townsfolk’s attempts to protect their rural Arcadia from bulldozers and climate change deniers. Part environmental fiction, part social satire, it speaks to exurban sprawl and the heedless development of fragile natural areas and to the power of communal resistance in the face of calamity. Besides being one of our best storytellers, Bill Luvaas, with the writing of Welcome to Saint Angel, must also be acknowledged as one of our most enlightened, if somewhat excentric, radicals. From the outset, Welcome . . . bristles with the rollicking, ribald wit reminiscent of Rabelais as well as the caustic social & personal satire of Voltaire. When the desolate little desert hamlet of Saint Angel comes under attack from uncompromising, money-grubbing developers & unprincipled water-snatchers, an uncommon & often mind-boggling array of cast-offs, misfits, ornery & none-too-subtle humanity rise up to attempt to save their terrible paradise: what’s one person’s hell is another’s heaven – I guess & so does Bill Luvaas who teases us with serious arguments against over-development & miss-use of nature’s bounty while at the same time interrupting the ‘lecture’ with quips & currents of lawless madness & random mayhem. From the likes of the peculiarly complicated character Tinkerspoon, the sometime wacky genius, who can hack any & all computers from the U S Government to the local bank, to the town of Saint Angel itself that speaks the facts that keep the plot alive & moving ever forward, Luvaas packs his pages with nudies, gunfighters, street brawlers, trackers tracking humans over hot & unrelenting desert, a swamp that devours all & any in its proximity & just to keep the romantic reader engrossed, a saga of father-daughter-love lost & found & the nourishing spirit of Tahquitz, a Native Demon, who keeps tabs on the merciless marauders while cheering-on the downtrodden but relentless protectors of Saint Angel. Bill Luvass has done us a favor with the creation of this book – do yourself one & read it!! And another book that I read and enjoyed more recently is Born in a Treacherous Time by Jacqui Murray. To walk in the footsteps of one of our earliest female ancestors is quite an experience and humbling. My recent review for Born in a Treacherous Time. Firstly, respect to the author for the amount of research needed to create this amazing story of early man born into a world still going through its growing pains. Combined with vividly created characters who you instantly relate to, this is a book you won’t want to put down. Secondly, I now have a much greater respect for our early ancestors for whom life is brutal, with the earth still spewing lava and ash and changing the landscape continuously. Food and water is scarce; game is eaten when opportunity presents itself, and there is a hierarchy which places man way behind some of the dominant predators of the day. Some of those predators are next generation humans such as man-who-preys and they hover on the horizon menacingly. Lucy is a female, wise beyond her years and her species, who leaves her clan following a tragedy, to bring new blood to a devastated group. She is an early healer with a knowledge of plants that is invaluable to those she comes to care for, and an ability to track and hunt as well as a man. This does not endear her to other females in the group, but as the story evolves you understand that even in this brutal time, tenderness and friendship are still possible. This is an amazing world that Jacquie Murray has carved out of an alien landscape.There is danger, adventure, tragedy and sacrifice. There is also humanity between species and the beginnings of an understanding of the symbiotic relationship with non-humans. I came away with a sense of kinship with Lucy and the rest of the characters. So many of their traits were recognisable even two million years later. It is only recently that they have established that most of us who are Caucasian have a very small percentage of Neanderthal DNA. That makes this story all the more fascinating knowing that there is still a connection to those who lived through this treacherous time. My recent review for the book..
A fitting end to an amazing series. It is difficult not to give away spoilers when you are excited about a book you have just read. Particularly when it is the final book in a series, and all the loose ends have been gathered up into one satisfying bundle. If you have already read the other books in the series, then you will be as eager as I was to catch up with the previous characters as they dispersed to Denmark or escaped the new outbreak in UK Central. You won’t be disappointed, as their continuing stories are action packed, heartwarming and sometimes downright scary. The author takes us forward, beyond these characters, to 100 years after the Bat Fever. We discover that many of the residents of the new UK have reverted back to the days of small settlements. They are self-sustaining and make an effort to bring children into a better world, although interestingly the gains made by women for independence have taken more than a few steps backwards. However, there are still women taking control of their lives and in some cases being responsible for settlements such as Lindisfarne. However, being human there are still those that have a craving for power at any cost. In the main population hubs and in the North, 100 years after the epidemic the veneer of civilization is very thin with violence a part of everyday life. What is clear, having read the entire series, is that following an apocalyptic event, the majority of the population are completely unprepared without the infrastructure that provides shelter, food and medicines. They have little or no knowledge of how to sustain themselves and only those with resolve and bravery will survive. Those that do bring a glimmer of hope that mankind will survive and thrive in the aftermath of a devastating event and that is a thread that runs through this final story. A brilliant end to the series, and I do suggest that you begin with the previous three books Tipping Point, Lindisfarne and UK2 so that you are fully primed before reading Legacy. I hope you have enjoyed this selection of just some of the books that I have read an enjoyed this year.. more to come later in the Christmas promotions. They would all make great gifts. Posted on June 30, 2018 by Smorgasbord - Variety is the Spice of Life. My review today is for Mourning Dove by Claire Fullerton, a family saga set in Memphis in the 1970s and 1980s, with a coming of age for a brother and sister dropped into the opulence and charm of Southern culture. My review for the book. The story is not fast paced, flowing smoothly as it meanders through the lives of Posey, Millie and Finlay. You are drawn into their experiences, and you find yourself mentally bookmarking certain events and revelations, that explain how such a close bond became disconnected. I found myself engaging with the main characters early on, and I became emotionally attached to them all. Those of us with brothers and sisters can find parallels in our own relationships, especially those that might not be as close as they were when growing up. Claire Fullerton grew up in Memphis, TN and now lives in Malibu, CA. She is the author of contemporary fiction, “Dancing to an Irish Reel,” set in Connemara, Ireland, where she once lived. 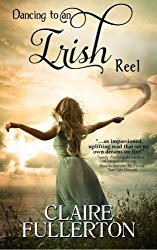 Dancing to an Irish Reel is a finalist in the 2016 Kindle Book Review Awards, and a 2016 Readers’ Favorite. Claire is the author of “A Portal in Time,” a paranormal mystery that unfolds in two time periods, set on California’s hauntingly beautiful Monterey Peninsula, in a village called Carmel-by-the-Sea. Both of Claire’s novels are published by Vinspire Publishing. Her third novel, Mourning Dove, is a Southern family saga, published in June, 2018 by Firefly Southern Fiction. She is one of four contributors to the book, Southern Seasons, with her novella, Through an Autumn Window, to be published in November 2018 by Firefly Southern Fiction. Claire is represented by Julie Gwinn, of The Seymour Literary Agency. Posted on October 12, 2017 by Smorgasbord - Variety is the Spice of Life. Today’s first featured book is Midnight Owl which is the first book in the Joe Leverette Mystery series by Viv Drewa.. When the dismembered body of a young woman is found Detectives Joe Leverette and Philip Marsden are assigned the case. After investigating the Port Huron, Michigan area where the six body parts were found there’s a twist in the case: The murderer goes after each individual who found the parts, one by one.Leverette becomes interested in one of the women, Carole Sage, a sensitive, but because of the case he’s not able to take it any further. Everyone on the police force sees his infatuation, but Carole does not. Each of the six witnesses has a dream about the murderer removing the particular body part they found the night. They are startled awake and hear an owl hoot three times. None of them want to reveal their dream to the detectives.Carole sees the actual murder and each murder as it happens to the witnesses. The police chief, Billingsley, understands her ‘gift’ and sets up a sting to catch him. It fails and they have to regroup to think of something else. Two witnesses are dead and they don’t want a third to die. This book is the perfect mystery thriller. A serial killer is on the loose. He decapitates his victims and scatters their remains. He sends notes to the police, taunting them. Carole is a sensitive, and she sees things foretelling the killer’s next move. However, neither she nor the police ever seem to get ahead. Will the sadistic murderer ever be caught, or will he continue claiming victims? This book had a grip on me from the moment I started reading. As the story went along, I became more and more engrossed, and tried to predict what would happen next. However, I could never figure it out. The plot changes were perfect, keeping me on my toes and guessing throughout the story. This book ends with a giant cliffhanger. I can’t wait for Part Two! 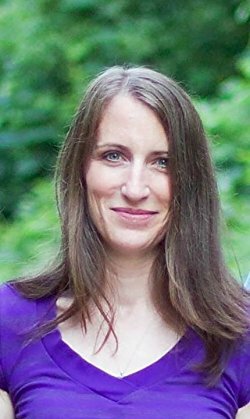 The next author with a recent review is Jessica Duchen for Ghost Variations released in September 2016 and is the strangest detective story in the history of music – inspired by a true incident. A captivating and enticing read. At the heart of this book is a poignant story of a great violinist, Jelly d’Aranyi, or “An Artist of the Floating World”( to borrow from Ishiguro) trying to come to terms with an ever alienating society and the world as it is rapidly approaching another Great War. Although the main plot is the search for a Schumann violin concerto, it seems almost secondary, an effect rather than a cause. As Jelly is getting older she laments times past, with a brilliantly successful career surrounded by famous musicians and close friends who admire her. She is anxious about a decline in her career, bitterly remarking that were she a man she would be at the height of her power at this age; her close friends are scattered around the country, one battling old age and another taken by a horrible illness. Still grieving for the man she loved who died in the First World War, she thinks it’s inconceivable that another war should be coming so soon. Jelly is deeply unsettled by the anti-foreigner mood around her, despite living in this country for a long time she starts to feel like an unwelcome outsider. Faced with the task of dealing with the rapid changes around her, Jelly finds herself ” losing the ground” as if being swept away by a wave of change. At last she is forced to re-evaluate her whole existence. Her quest to find the Schumann Concerto becomes her only way out, a way to keep the spirits of all the people she loved as well as herself alive. The music becomes her salvation. I consider it a sign of how far we have come as a society (although arguably we still have a lot further to go) when we take for granted the difficulties of having a career as a woman. The impossibility of having both a family as well as being a successful musician doesn’t cross our mind immediately nowadays, which is a stark contrast to 1930s. Deciding on being a concert musician meant Jelly and many other female artists including the legendary Myra Hess chose to not settle down. Everywhere else in the novel the author devotes time on highlighting “the plight” of women, one such example being the inability of women to study at certain high institutions as they weren’t allowed. The subject of woman’s condition so well brought up in this book was an extra bonus to me. Elsewhere the undoubtedly realistic backdrop of the book is beautifully crafted; the general mood of anxiety and alarm as of the uncertainty of the near future is daunting, making one somewhat queasy. This book will be of great interest not only to musicians but a general reader looking for a gripping read, because that is exactly what this is. Highly recommended. The next author with a recent review is Claire Fullerton with the wonderfully titled Dancing to an Irish Reel set in Connemara. On sabbatical from her job in the LA record business, Hailey takes a trip to Ireland for the vacation of a lifetime. What she finds is a job offer too good to turn down. It is widely accepted that both the early written works and the oral tradition of storytellers, which began in ancient Ireland, are among the most original and earliest forms of communication in Europe. Writers have the uncanny ability to tap into the realm of spirit, the place where all inspiration emanates. It is a gift that enables them to transcend the mundane, and experience the world as they see and feel it, and know how it should be. They can be likened to magicians and have the uncanny ability to turn what to most people, are chaotic thoughts, emotions and feelings, and fashion them into beautiful and meaningful works of art. They are artists who paint the blank canvas with their words and are blessed with the grace that enables them to never stray far from their original nature, despite having to live and survive in the material world. Writers pass on what they have learned through their words, which are the manifestation of a collective knowledge. It is a shamanistic quality which they possess. A fine example of these very qualities can be found in a wonderfully written novel titled “Dancing to an Irish Reel” by author Claire Fullerton. Ms. Fullerton takes the reader on an inspiring journey of hope, love and music, through the beautiful Galway in the West of Ireland and the ancient province of Connaught. If you have never been to Ireland, reading “Dancing to an Irish Reel” will inspire you to dust off your passport. Two reviews within a couple of days of each other so will share both. Thanks for dropping in today and I hope you will explore these authors and their work further.. Thanks Sally. This was the top viewed Smorgasbord Open House in 2016 for the interview with author Claire Fullerton. 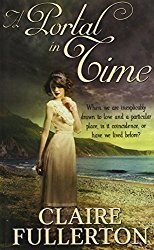 My guest today is Claire Fullerton author of Dancing to an Irish Reel which is set in Connemara, Ireland and A Portal in Time, a paranormal mystery across two time periods, set on California’s Monterey Peninsula in the famous village of Carmel-on-Sea, both published by Vinspire Publishing. Claire is a three- time award winning essayist, a former newspaper columnist, a contributor to magazines including Celtic Life International and Southern Writers Magazine. She is a five-time contributor to the “Chicken Soup for the Soul” book series and can be found on Goodreads as well as the website under her name. She is currently working on her third novel and you can find out more about that later in the post. First a look at Claire’s books beginning with her latest release in 2015, the wonderfully titled Dancing to an Irish Reel set in Connemara. Some of the many reviews for the book also now in audio. Now a look at A Portal in Time released in November 2013. Claire has received some great reviews for this book. Claire’s Essays on her website. Whilst you browse all her essays I also recommend that you read Carmel. Claire has a personal connection to Carmel as she spent her honeymoon there and she returned on her first anniversary. This essay was published in the Carmel Living Magazine. Claire and her husband spent part of their time after this and the history and atmosphere of the town provided the inspiration for her first novel A Portal in Time. Having stayed their one weekend myself I can also recommend that you visit if you are on the west coast. Delightful place with a huge amount of places of historical interest and charm; perfect setting for a book. ‘I grew up in the Deep South, that part of the US that many consider the last romantic place in America. And it is; the region has its own culture that is so steeped in tradition, it seems that time has stood still. At the heart of the ways and means of the South is an iron-clad code of manners handed down at birth. It is an imperative code of civility that is society’s glue, and there is no more egregious error one can commit than to display bad manners. When people talk about Southern hospitality, what they’re talking about is how a Southerner will treat a guest, even if that guest is only someone a Southerner accidently brushes up against while walking down the street. The most salient characteristic of Southern hospitality is the ability to extend oneself, which means putting another first, to focus such a high beam of gregarious concern that anyone caught in the headlight will think they’re the most important soul on earth. But you have to be born into the South to know this, for the guidelines of Southern ways are taught through the power of example, wrought through simply observing the glittering Southern people that come before you, who never lower themselves to a gauche confession of their inner-workings, but prefer to walk the line of implication instead in a “show-don’t tell” manner. It is a way of being in the world that is confident enough in its own animal grace to know the unspoken influence of its own attraction’. So welcome Claire and delighted that you could drop by this morning… Over to you. What genre do you read and your favourite authors? My idea of heaven is to immerse myself in the works of contemporary Southern writers, especially when they write in the first person. Three authors stand out for me: Pat Conroy, Ann Rivers Siddons and Donna Tartt. I am in awe of these writers and could ace a blind test wherein I was given a sentence by each and asked to name who wrote it. All three are considered Southern writers by virtue of the fact that they were born in the American South, and I’ve been pondering this term of late because I am a writer who hails from Memphis, Tennessee. Not to get off point by digression, but my first two novels have nothing to do with the South, yet my third is set in Memphis and thematically about the repercussions of the culture. This has led me to ponder what it truly means to be a Southern writer. One hears this categorization bantered about, and it does evoke classification that has to do with regional setting, but to me, it is so much more. When a writer hails from the South, they cannot help but carry a certain frame of reference from which they view and interact with the world. This frame of reference is unknown to outsiders and therefore often misunderstood. I say this because I am now a transplanted Southerner living in California. I am well aware that the accent I wield invites assumption. People “out here,” as any Southerner would label a region north of the Mason Dixon line, think the South is more back woods than it actually is. They don’t know that the South maintains a soft gentility passed down in families, that there is an iron-clad code of civility, and that there is nothing more unforgivable than bad manners. I’ve heard it said that the South is the last romantic place in America, and I believe it to be so. The romance hangs in the air with Southern humidity and informs everything from the way people move to their speech. I have had the great largess of growing up with many a flamboyant Southerner in my immediate circumference. I will generalize here for the sake of clear explanation by saying those that affected my childhood were proud Southerners intent on perpetuating the social mores of the South, whose heart maintains the love of story. Southerners are a long winded lot, intent on detail and incapable of making any point without offering fifteen minutes of background. But they are bright, upbeat creatures who exist in packs and feel a moral obligation to entertain both literally and figuratively. In the South, great importance is placed on connections, which includes familial lineage, ties to the land, and the jury of one’s peers. They are ever mindful of the value of relationships and measure themselves in relation to one another. This constitutes a certain regional consciousness and gives rise to a tacit, cultural paradigm that eludes the casual observer. What outsiders don’t know about Southerners is that they are in love with the peculiarities of being Southern, and will defend their Southerness to the hilt. All three of the authors I have mentioned know well of these Southern eccentricities, and it flavours their writing. All three are masters of lyrical language and are sensitive to and sing praises of the nuances of the South. Which book in your opinion is the best you have ever read and why? Hands down, Pat Conroy’s “The Prince of Tides.” It’s first two sentences read, “My wound is my geography. It is my anchorage, my port of call.” We’ve all read brilliant writers, but what gets me about Conroy is he takes a knife to the soul and can open up unhealed, dormant wounds that we all carry ( of this I am convinced) and explains them to us through the love of words and story. In the two sentences I have quoted above, he covers everything about what it means to be a product of a family born to a region that defines you and explains everything about who you are. “The Prince of Tides” is the ultimate “sins of the father” story, whose theme of cause and effect perpetrated within the family draws the lines of each character and shapes the course of each of their life. But it is Conroy’s lyrical use of language throughout the book that sets the mood of the story. It is languid, sonorous, and fluid in a way that is commiserate with the tides of South Carolina’s low country, which is the setting of the book. Not content with economy of language, Pat Conroy takes the reader into the undertow of this family saga and invites them to fend for themselves through the story’s ebb and flow, until they are cast upon the shore panting for breath. This book blew my world wide open. It showed me what is possible with the written word. What kind of music do you listen to and who are your favourite musicians? Sally, you’re a woman after my own heart with this question! Here we go: being raised in Memphis, which is literally “The home of the Blues” and having had the good fortune of growing up with a brother named Haines, who was eighteen months older than me, and who picked up a guitar at the age of eight and never put it down, music was the only thing I ever cared about for the first twenty some-odd years of my life! I came into the world that The Beatles defined, and lived in the region that was the hot seat of the impetus of that definition! By this, I mean Elvis Presley. Elvis took the Delta Blues and created Rock-n-Roll, and The Beatles took Rock-n-Roll and revolutionized it. It all came from Memphis; The Beatles knew this, The Rolling Stones knew this, and to one degree or another, contemporary music has Memphis to thank. I’m a fan of “Pop music” and could keep you here all day naming names. Instead, I’ll tell you I spent nine years as a music radio DJ in Memphis; that I worked in the music business in Los Angeles discovering bands that went on to “make it big” and will now mention that my brother, Haines, was instrumental in the formative years of The Dave Matthews Band. Okay, let me give you the respect of answering your question and name a few names: The Beatles, The Who, Led Zeppelin, Peter Gabriel, David Bowie, Crowded House, Neil Finn solo, Toad the Wet Sprocket, anything Glen Phillips does, who could not see the merits in U2, Cold Play is not actually the U2 rip-off many proclaim them to be, Ed Sheeran thrills me; don’t judge me, but I’m a fan of Country Music; Keith Urban comes to mind; I’m in love with Mike Scott and love The Waterboys, as well as Karl Wallinger (you’re in the know if you know their connection.) Lastly, I applaud Irish traditional music; it speaks to my genetic lineage, and I’ll now say that if you don’t have a copy of “A Place among the Stones” by Davy Spillane, then you’re at a complete disadvantage. What are the top five experiences or activities that you feel that everyone should complete in their lifetime? I’ll provide a list here in no order of importance. Move to a foreign country and stay. Submerge yourself in the culture until it makes you forget where you came from. Study dance and incorporate it into your way of being in the world. Share your life with a dog. Love it, tend to it, be responsible for it, let it love you, and you will know the nature of unconditional love. Arrive at a clear idea of how to be of service to others. Identify your peculiar, individual gifts that you came into the world carrying, and get about the business of using them to the benefit of others. Stay connected to God as you know Him, which means cultivate a daily spiritual practice that’ll lend itself to daily renewal, humility, hope, faith, and a healthy perspective. Tell us about your work in progress, plans for your blog in the next year any special events that are coming up that are very special to you. I recently completed my third novel, which is a Southern family saga set in 1970’s and 1980’s Memphis. Its title is “Mourning Dove,” and it is written in the first person voice of Millie Crossan, as she tells about growing up with her brother, Finley, in their mother’s genteel world, where all that glitters is not gold. I wanted to tell a family story set in post-civil- rights Memphis that depicts the opulent South, where the region is changing, yet a certain sect of society still clings to old world manner and form, even in the face of tragedy. The themes in “Mourning Dove” are a search for place, a search for identity, and ultimately a search for God. It was my aim to capture the era in which I grew up. Much has changed now, as has the world, but I was well aware of the uniqueness of the Memphis I was born into while I grew up; I found it beautiful and very specifically civilized, yet in a cloistered way. And as life is life no matter where you set it, how people handle life’s vagaries is often dictated by social customs, and the adherence of those customs colors the experience. Currently, the book is under review. My thanks to Claire for providing us with an insight into her life and what inspires her to right. Also a big thank you for suggesting we listen to the beautiful Celtic music of Davy Spillane. Connect with Claire on her website and social media. Thank you for dropping by and it would be wonderful if you could sign the visitors book… and also before you leave spread the word about Claire Fullerton across your own networks. If you would like to be a guest on Open House it is very straightforward.. here is the link that tells you about the interview and also has the questions that you can choose from.